What if you could have one evening with the President of the United States? I've certainly imagined it from time to time. I've liked Obama's sense of humor. Sharing jokes with him would be awesome. No cameras. No microphones. No agenda. No one else around. Just you, the President, and a couple of drinks at some undisclosed location, having a conversation, getting to know each other as much as the night allows. I would hope that the President would be completely himself, not trying to politick me into something or attempt to spin me towards a "side" on an issue. Clearly, I'd sign a non-disclosure agreement. I'm not a fool. Imagine that... an unfiltered look into the life of the person occupying the highest office in the land. I was born in 1984, about a week before Ronald Reagan was elected to his second term in office. In my lifetime, we've had Reagan, two Bush's, a Clinton, and Obama. Eight years ago tomorrow, I was sitting in the living room of a house in Oregon, where I lived with two other guys. I didn't have to work that morning, so a few fellas came over to sit down and watch the inauguration of our nation's first black President. I have to admit, I did not vote for either McCain or Obama that year, but I did feel privileged to witness such a historic event. 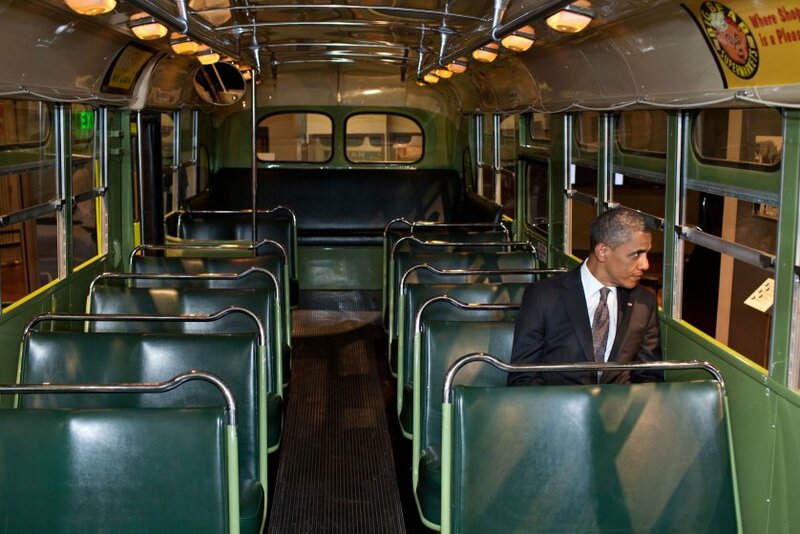 Hard to believe, with our nation's messy history, that we'd see such a day. Maybe one day an Asian-American President will happen in my lifetime. One day. I had a lot of friends who were very proud of that moment. Some joined the Obama campaign and were actually walking door-to-door to get the word out. There was a lot of hope (yes, that iconic campaign poster with the word "Hope" on it, I'm aware) among young adults across the country. 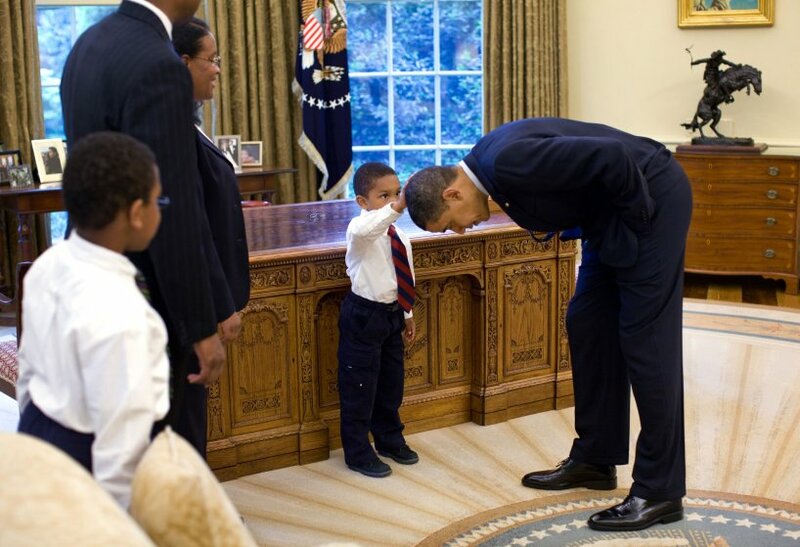 I was excited for the black community as they had someone like them as President, like the boy in this picture who asked to feel Obama's hair to see if it was like his. I'm sure that meant a lot to him. Admittedly, I was critical of President Obama when he first took office. I simply thought he didn't have enough experience to take the job. Honestly, since Bush Jr. was the first President of my late teens and early 20s, very formative years, it was hard for me to experience a different kind of leadership. Now, those who know me well enough that, at the time, I had no business commenting on the dealings of our political system because I made sure I stayed uninformed on political dealings except for what happened every four years. I remember mocking Obama for getting a Nobel Peace Prize when his chair at the Resolute Desk wasn't even warm yet. I also had people in my ear claiming that Obama would be the worst thing to happen to our nation... no, I'm pretty sure slavery, along with internment camps and exclusion acts, has that title, no question. That's how my time as a citizen under Obama's leadership started. Eight years later, with our new President Elect about to be sworn in, I can't help but reflect on what I would ask President Obama about if I did have an unencumbered evening with him. ... What's it like raising kids in the White House? ... Tell me about your childhood, and how having an absent father shaped you? ... What's President Putin really like? ... Favorite place you've traveled as President and why? The best part of Air Force One? ... Do you think Bernie Sanders' plan would've worked? Why or why not? ... If you have a faith in a religion, how little/big a part did that play in your decision-making? ... What do you think the average citizen absolutely needs to understand about the political process that they simply would not get from outside the walls of the three branches of government? ... Could you play pranks on the Secret Service? I bet you could. You're the President. I could go on with questions, and I'm sure I'm not the only one if we all had the opportunity. I'm sure there would be more questions of a more serious nature, as well. I would also think, in the spirit of the occasion, that President Obama would ask me about my life. I think he's got a naturally curious personality, and I would happily engage it. If I'm sitting with the President, I got nothing to gain by hiding anything. ... You promised during your initial campaign to close Guantanamo Bay. I know prisoner numbers have been reduced greatly, but I personally would've loved stronger action from you for the closing to happen under your watch. ... Why the more "hands off" approach to addressing ISIS, and the large use of drones, dropping bombs and killing many innocent lives? ... You're nicknamed "deporter-in-chief." I think DACA was a good move, but so many were caught in the middle and had to be deported. Wasn't there something that could've been done to prevent that? Yes, there are many layers to these questions/criticisms I have that I'm either not aware of or haven't done sufficient research. I haven't been overt with these questions around others, and I have a few more that I'm going to keep to myself. There are better, more educated people who can go toe-to-toe with him on a bunch of issues, I'm sure, but those are my criticisms, and getting him to answer those isn't my goal for the evening. What my goal would be, however, on his last day in the Oval Office, as we finish the stories, the tears, the laughter, and the beers, to share a few things I would like to say to him to end our evening together. First, I'd ask him how I can be a good citizen during this next administration. Second, and more importantly, I'd ask if I can pray for him and his family. 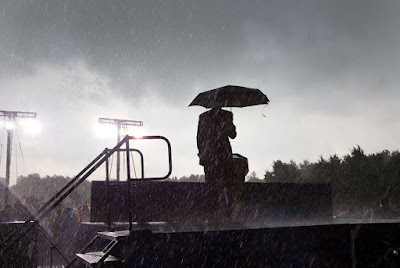 ... "As a disciple of Jesus, I pray that you and your family find your ultimate hope and future in Him as well, because He loves justice, righteousness, and redemption more than any of us, and He will make it happen, on earth as it is in heaven. May you know the grace and truth of Jesus as Lord." ... "Thank you and Michelle for being such strong role models. I think many young men can benefit from your example simply as a husband. That alone was a huge gift." ... "I think you and I differ on some decisions made during your administration, but I've always admired how you've stood your ground on what you believed was right. I'll always respect that about you." ... "Thank you for taking the high road in our social media-saturated world, where every action you took was dissected exponentially. 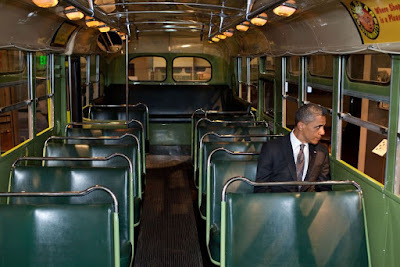 As the first black President, you've done your best to uphold the dignity of the Office and have set an example for future minority Presidents. Dr. King would've been so proud. I'm sure behind the scenes you've had your choice words for your critics, so thank you for the restraint." ... "I hope you and your family get a chance to rest and step away from the public sphere for as long as possible. I think, based on how you've conducted yourself, your convictions will only keep you away from the public sphere for a short time. Tread wisely, or Michelle might kill you." I had to get one more joke in. Thank you for your service, Mr. President. You get the next round.